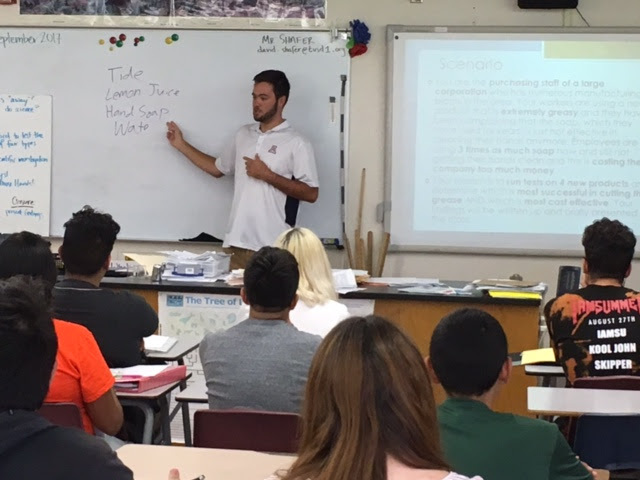 On September 8, members from the Southwest Environmental Health Sciences (SWEHSC) Outreach Team visited Cholla High School to teach students about groundwater contamination. Students conducted an experiment to determine if water, hand soap, lemon juice, or Tide detergent was best to clean their hands from thick, oily hand lotion. 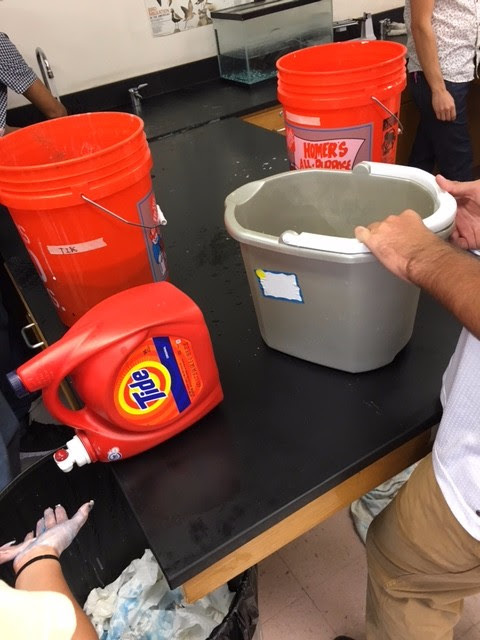 Students learned that Tide worked the best. 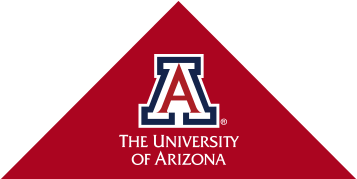 This visit was the second in a biweekly series that SWEHSC is conducting to teach students about the history of Trichloroethylene groundwater contamination, clean-up efforts in Tucson and the effects it has on the environment and health.